The Canterbury Dominican Friary was built in the thirteenth century. Only the Guest Hall (across the river, now the Beerling Hall) and the Refectory (now the Cleary Gallery and the Art Department) survive. After the Dissolution of the Monasteries the site was used as a weaving factory, dissenting meeting place, and domestic housing. 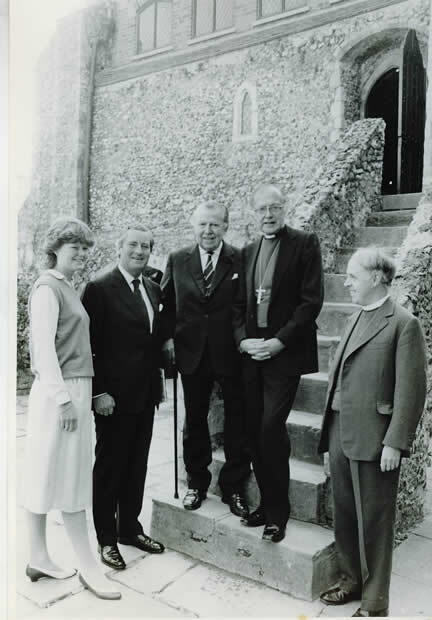 The building was bought from the Christian Scientists to be restored, with significant help from the Cleary Foundation, and opened as the Art Centre in 1983. The Beerling Hall, named after Don and Poppy Beerling, was leased from the Cantiacorum Foundation in 2015. The nearby King Street Studios, which house the photography and pottery facilities, were opened by Edmund de Waal in 2012.